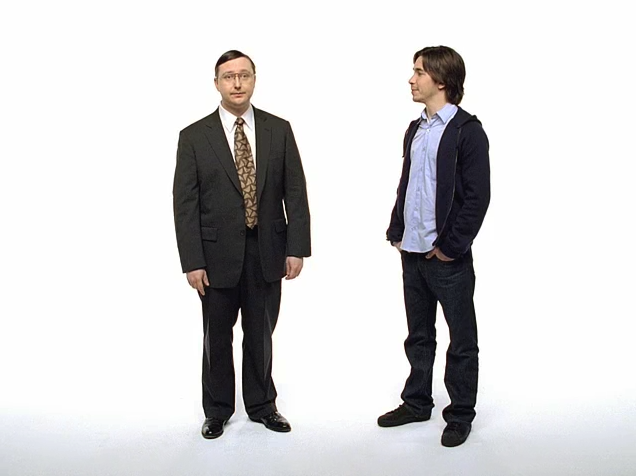 Apple has been bugging Microsoft forever. And finally Microsoft takes the bait. They fight back with an ad that looks remarkably like Apple. Microsoft tries to be cool. And yet, Microsoft can never be cool. This isn’t a stupid ad issue. And who fights whom. It’s a branding issue. That’s who they’ve projected themselves to be, and the consumer and paying customers have bought into the cool image. Ok so what does PC stand for? PC doesn’t stand for cool. But PC stands for the ‘ability to tweak stuff.’ I’ve owned PCs for twenty years. And I can tell you that PCs are tweakable. There’s loads of hardware and software ‘tweakability’ for PCs. Macs aren’t like that at all (and I have to say I love my Mac more than my PC, but it drives me crazy often enough). On a PC, I can find software to do what I struggle to do with a Mac. For example, Macs will put in Matsushita drives that won’t let me play legal DVDs. And trying to find software that allows me to make my DVDs region-free is a nightmare. So I switched to the PC. Created a region-free disc, disc image…the works! The Mac on the other hand stands for ‘cool’. I can do cooler presentations on the Mac, than I can do on a PC, and believe me, I’m very, very capable of doing top quality presentations and delivering them. And so there are cool things I can do with my Mac. What I’m saying is that I use both PCs and Macs. I have four PCs. And one Mac. And trying to convince me that a PC is cool, is a waste of Windows’ time. Then use those advantages to dominate your market. See the silly videos below. Apple has it right. Microsoft has it wrong.